All of us quillers know that there is no way we'd be able to create our intricate designs if it weren't because we love doing it! While quilling may not exactly be difficult, it is very time consuming. So, when we give a card to someone, we want them to receive it intact and appreciate just how much effort and innovation went into the process. Well, have I got good news for you! My friend Linda at "My Quilling Nest" has created a stamp set AND an awesome 3D envelope to solve my (and your) dilemmas. The stamp set, appropriately titled "Quilled with Love Stamp Set" comes with 11 (yes, ELEVEN) stamps that we can use for any quilling project. The stamps come together in a large square and they are to be cut and mounted on clear plastic blocks (by you). My favorite stamp is the one that explains quilling because it's definitely something I've been wanting to include with my cards for a while. Another way they can be used is on the back of a card, at the bottom. Sort of like your own "Hallmark" seal. There are tons of options in the set you can use including one for paper roses, fringed flowers, husking, and even jewelry. But, she didn't stop there! She went ahead and also created an envelope that will solve our other dilemma ... shipping. I usually send my cards out in rigid mailers. But, they're not really that pretty. This envelope is 4.5 by 6 by .25 inches and accommodates cards with up to 1/4 inch of height on them. I'd use the card as a mailer but I can see it being used as an envelope too, with some embellishment. Here is Used the stamp that says " A quilled gift for you!, From... Quilled By... Date..."
For more info on these two products (which Linda so lovingly provided to me for review) visit Linda's blog here. Her official announcement is today and I'm sure you all want to get your hands on these fab goodies. And, since we are on the topic of packaging, let me share some boxes I created for some rings that were ordered. Who needs the calendar to tell you when you should send a gift? Every day is a special occasion!! A SWEET weekend to you all! really awsome, thanks for sharing,love it!!!! great idea to use the boxalope like a gift box! love it and the owl card you made is amazing!! and the magnet on the gift tag great! thanks for all the tips! Lovely work Sandy like always. I love that Owl! what a hoot...hehehe..Thank you so much for doing this I truly appreciate it. I love your card and the boxelopes are fantastic. love the owl card, very cute!! 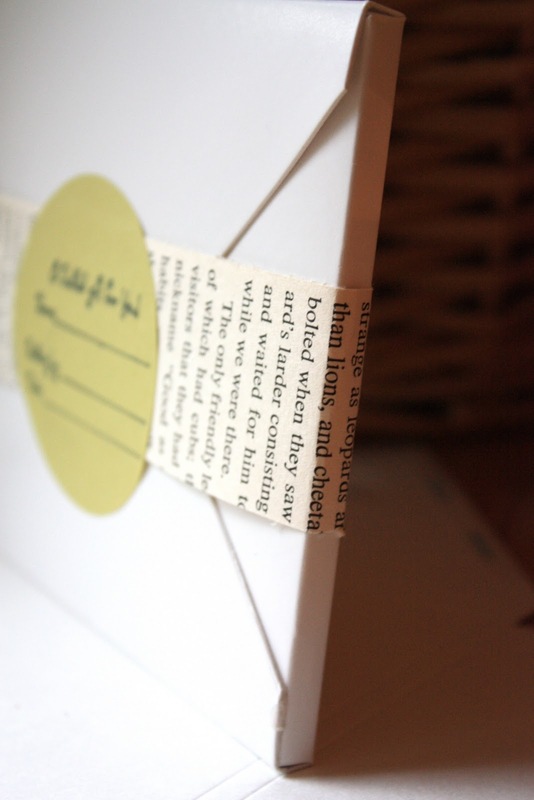 Love the boxelopes and the quilling stamps! I just LOVE that cute owl !! Thank you all for your kind comments. I hope Linda has great success in her new ventures! This creativity is awesome i can say that the artist is so talented .